Wow - hard to believe that it is 2015 already! Where is the time going? As I do at the end of each year, I go through all my photos and pick some of my favorites to put together a slideshow. 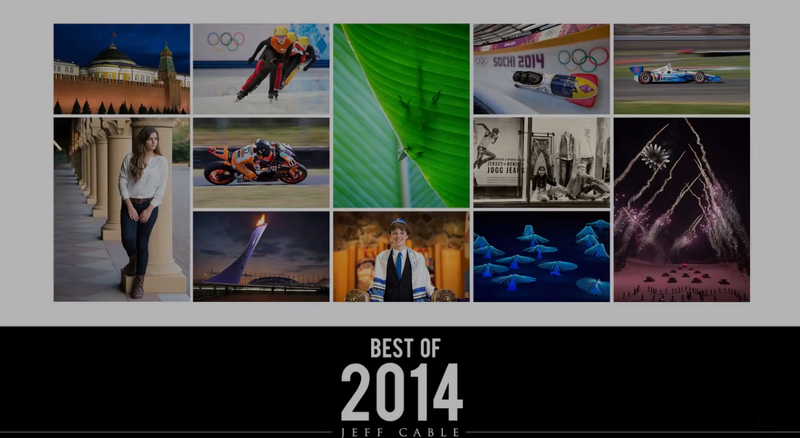 This year, my good friends at Photodex helped me put together my compilation of some of my favorite photos from 2014. You can click on the graphic above or click here to see the 5 minute video. The video starts with numerous photos from Winter Olympics in Sochi and then roams through the year. I hope you enjoy viewing them as much as I did shooting them! And...Happy New Year to all of you. Very nice, makes me want to pick out some of my favorites and post them. I enjoy seeing you photos, and like that you explain how it is done. All great images, but the snowboarder captured in the air is my favorite. While not near as great as your look back, you have inspired me to do the same kind of a review on my blog.